This online program is available for per diem or potential per diem nurses to describe this most valuable role needed in the school setting. The per diem nurse must have a nursing license as well as working knowledge of school age children and adolescent health issues. Understand the role of the Per Diem nurse in the school setting. Describe the various chronic illnesses/treatments in the school setting. Utilize the Resources in this program. Kathy received a BA in Biology, then her Bachelor of Science in Nursing from Boston University. She has been a Registered Nurse for 34 years and has worked at Mount Auburn Hospital and Deaconess Waltham Hospital. While raising her 4 children (who are now 26, 27, 29 and 30) she moved into school health in 1999 as the Director of Health Services for the Hudson Public School system until 2005. She received her Master’s in Education in 2001. Kathy was the Director of the NEU School Health Institute at Northeastern University and is now the Director of the School Health Academy, providing conferences and continuing education for School Nurses. 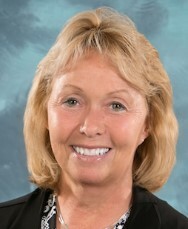 She has taught graduate courses such as “Legal and Ethical Issues in School Nursing” and “Leadership Skills for School Nurses” since 2003 and presently teaches Leadership in School Health for Cambridge College and Leadership Skills in School and Community Health and Health Impacts on Academics for Canisius College. She was President of the Massachusetts School Nurse Organization (MSNO) 2007-2009 and is was the MSNO NASN Director for Massachusetts (2014-2016) and served on the NASN Executive Committee. Kathy is now in a 3 year DNP program at Northeastern University. In accordance with Northeastern University College of Professional Studies the School Health Academy requires that faculty members disclose any relationship (e.g., shareholder, recipient of research grant, consultant, or member of an advisory committee) that the faculty may have with commercial companies whose products or services may be mentioned in their presentations. The existence of these relationships is provided for the information of participants and should not be assumed to have an adverse impact on faculty presentations. This author has NO conflict of interest to declare. The development of this educational activity did not receive any commercial support. Northeastern University School of Nursing is accredited as a provider of continuing nursing education by the American Nurses Credentialing Center's Commission on Accreditation. Participants successfully completing this program and completing an online evaluation will receive a certificate of contact hours issued. Certificates may be printed and will also be accessible on the neusha.org website under participants' account histories.